This is the book, the ONLY book for swimming teachers and age group coaching. It is pretty good for Masters swimmers too, as well as parents and leisure swimmers who want to improve their technique. 7.20am I’m poolisde 12.30 home. Anthony Gimson a 75+ category International Champion. It’ll take me the next 25 years to get as good as him. The Mid-Sussex Marlins Masters are incredible, they attend national and international events and come away with medals. Some of the relay teams regularly set world records. All I have is a 60 mins session to get through. The Coach noticed that I got through it, even completing the lengths of Fly. It took the last week swimming EVERY day to deliver a bit more stamina, a bit more flexibility and strength. And the resolve to get through it, thourgh frustrated by a sticky chest that wasn’t releived by an inhaler. I hope this will ease off in time (or the inhaled steriods I take in the mornign aren’t up to it). Pyramid 100m FC, 75m BC, 50m BR, 25m FLY, 50m BR, 75m BC, 100m FC. 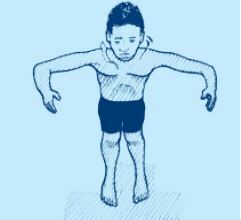 My programme follows what I take from ‘The Swimming Drill Book’ from time to time referring to an image on the Kindle. Drills. Pressing for a glide in the stroke. Try them a 3 second glide, taking several goes to get this right before dropping it. Arms Only with FC kick, then Fly kick. Fun One: Otter or streamline bounced to the deep end. Single Length BR with transition. Either 25m or 50m depending on the grade. Emphasis on the glide is what change behaviours: they learnt from it. Four kids with learning difficulties. Knowing their characters and with the support of a parent I am able to play to their strengths.